I still remember how it was like when I bought my first PC, a decade ago. It was a budget build and choices were few. Computer hardware used to be pricier and in short supply unlike today. But even for the most demanding enthusiasts, something that I certainly wasn’t back then, the decision making factors were very much limited. Things used to always boil down to basics like- the speed of your CPU and the size of your display! You could go with the CPU with higher operating frequency or you could pick yourself the ones with a much lower frequency rating, Believe it or not, this was how things used to be. But that somehow made the choice simpler for people like me, who neither had the money to buy those uber-highend stuffs nor the required skill and knowledge to comb the market for better and cheaper alternatives (which was non existent by the way). So in the end, the difference between what I could afford and that which I couldn’t was a few hundred of Megahertz. But that since has changed, along with many aspects of CPUs like architecture, usage pattern, manufacturing process, power consumption and more. 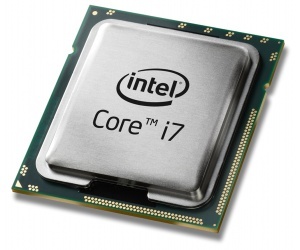 Thanks to all these factors, to day we have the most powerful and affordable desktop processors of all time, but what matters most is that we have at last the “painful” pleasure of choice, something we all missed throughout these past years. If you’re interested to know more in this regard, please read through this previous article of mine and hopefully that would shed some light on the evolution of modern CPU. One thing that hasn’t changed though is that you still need a CPU for your precious little PC and to choose the right one is the key to your computing satisfaction as an end user. But as I said before, the choice has never been more difficult to make than it is today. In this effort I would try to bring some much needed clarity into a seemingly chaotic world of desktop processors. 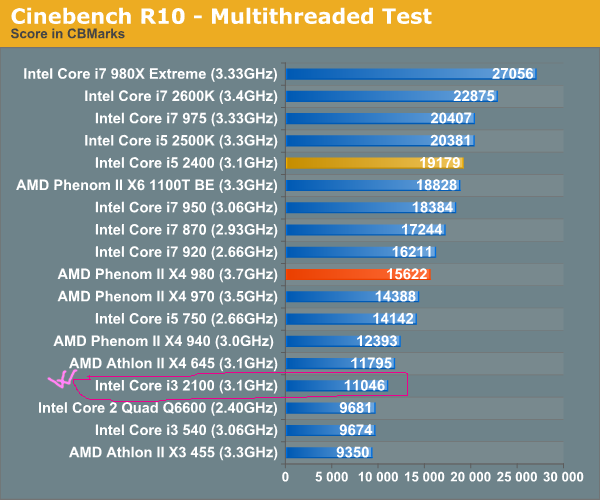 see how core i3 2100, which is a very fast dual core CPU, lags behind when the workload is heavily threaded. 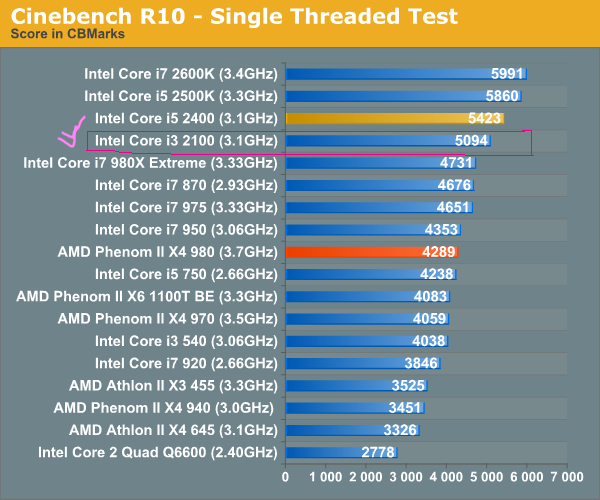 In single threaded benchmark though, it is one of the fastest chips in the block. So as you can see having a greater number of CPU cores can be helpful depending on the type of workload you are putting it through. If the workload is light and can’t utilize the extra cores, the difference between a dual-core CPU and a six-core one is very thin. And as mentioned earlier, most of daily tusks that a regular user performs are single threaded. That’s why a pc with six cores and one with just two will both deliver around the same level of responsiveness in those applications, provided they’re clocked similarly. We are still waiting for software developers to write more multi-threaded programs that will utilize the full potential of modern CPUs. There is no harm in opting for a quad-core or hex-core processor to be a little future proof, just keep these in your mind. The architecture itself plays very important role, as it will affect almost every bit of functionality and performance of a CPU. Every now and then there will be chips with new architecture and design, which will in turn bring about new set of features and set new benchmarks. This is how things happen in the computer hardware industry. You shouldn’t be surprised to see your latest “highend” product becoming outdated in just a few years. If you ask me, frankly, you should not care as long as your CPU delivers what you ask from it. But it will not comfort your soul if you’re an enthusiast like me with never ending hunger for faster gizmos, but that’s a different (and partly sad) story! The decision may differ depending on whether you’re doing an upgrade or a complete system overhaul. If it’s an upgrade that you need, chances are your options would be limited to your existing system. In which case, you should check the compatibility of your platform (Motherboard, RAM etc), and buy the CPU accordingly. Remember though that almost every CPU today comes up with its own platform, so your old stuffs may not be compatible with a new chip. This is some time very annoying since you’ve to change the whole system to get yourself the latest technology. For example, Intel has introduced no less than 3 new sockets (LGA 1366, LGA 1156, and LGA 1155) only in the highend-mainstream segment in last three years or so. AMD meanwhile has been a bit kind in their approach. If you’re building your PC from scratch, make sure to go for the platform that suits you most. A system evolves around its processor thus it’s important to do the math beforehand. Yes, there is always a better platform to choose for but is it worth the extra premium? Look hardly on those benchmarks and performance charts before making a decision. Don’t forget that a CPU is generally a long term investment, so you should also consider being as much future proof as possible within your limitations. Another aspect worth considering would the features. A CPU is not just a processing unit now days but much more than that. Each has its own set of features, ranging from how much RAM one can accommodate to the number of PCIE lanes it carries within. Most of these features used to be on the motherboard not so long ago. But in this age of integration, they are part of the CPU itself making it more important than ever. Add to this the fact that each generation of chips brings about new and exciting technologies with them and you really have your tasks cut out. Not every feature is relevant to you, to be honest some only matters to a tiny fraction of normal users but the rest are very important to build an optimized, powerful and upgradeable system. More on this later. Getting a processor that represents outstanding value for money is very good, but better still is to check for efficiency also. This is one aspect that people tend to ignore when building a system. An efficient piece of hardware means it consumes less power while delivering acceptable performance. This means two things – first and foremost, your electric bill will be friendlier to your pocket and then it’ll produce less amount of heat which is good thing. These are important things to consider because power is not as cheap and abundant as it used to be. An efficient CPU can save more money for you in longer terms than you’ll do by opting for a cheaper bur inefficient one. Almost every CPU now days, comes with a power rating called its ‘TDP (Thermal Design Power)’, which indicates the highest theoretical power consumption. The lower this rating is – the more efficient the chip is. But don’t compare an i3 which has only two cores with an i7 which houses four cores and the same number of threads as the latter has a higher number of transistors to feed. 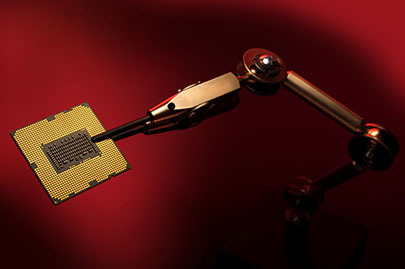 Commonly newer generations are more efficient than older ones, so if you’re buying a processor for a new build- opt for a new chip as most modern CPUs are more than enough efficient. Finally there is the mighty cost factor. How much do spend and what you’re getting in return are all parts of the equation. The evolution of personal computing has granted lots of power to the end user in reasonable price, but even then you should spend your money carefully. The cunning manufacturers are always in pursue of your hard earned $$, with sparkling ads and gimmicks. How you defy them? By paying for only the things you want would be the thumbs rule for the more general user. But if you’re an enthusiast and want the bragging right, then by all means go forward and buy the best.